"Come adolescence, this quite possibly could become [a] cultural bible." "…Quality…readers…will be swept along by the authors' sincerity." "A diversity of younger Asian-American writers carrying the banner forward. I think this is great." "Valuable not only for its [sharp] insights...as an inspiration to any young person seeking self-expression." "A book like YELL-Oh Girls! would have let me know that I wasn't alone." "Thanks to this fine collection of writings, future generations of Asian-American girls need not feel so isolated." "YELL-Oh Girls!...is a must-read for anyone who's ever felt like an outsider looking in." 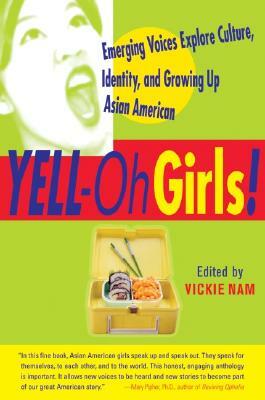 "[Vickie Nam] is determined to make heard the voices of Asian-American girls."